The Gotham Market At The Ashland is a curated culinary market in Fort Greene, Brooklyn with multiple dining + drinking venues. GMTA needed a brand new website. Gotham needed a new website for the opening of a new market in Brooklyn. 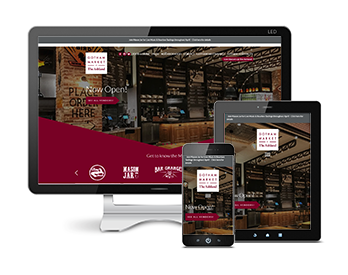 The new Gotham Market at the Ashland site happily blends with the designs of the Gotham West Market site and the Gotham Hospitality portal. Users can find out what is happening around the market in the Brooklyn neighborhood and plan outings accordingly.